During an Australian Rules Football game Sunday a brawl (not picture) featuring several hundred people, some armed with axes and spears, broke out. 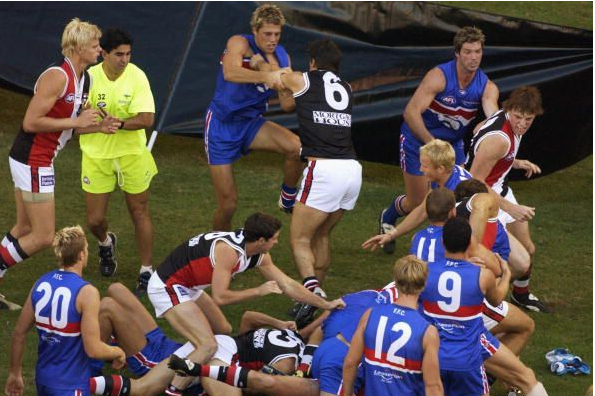 Initially the fighting began on the field when one team was awarded a free kick. This, obviously led to such a massive free-for-all that, when the police arrived on scene, they legitimately feared for their own safety.